Police say tailbacks are now easing. Traffic was held up on both the M6 and M55 following a collision this afternoon. 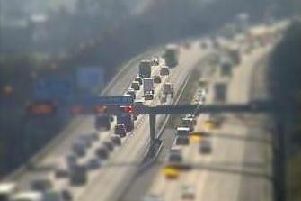 The smash, between the junction 31 at Samlesbury and junction 30 at Higher Walton caused tailbacks beyond the Broughton intersection on both motorways. It is not thought there were any serious injuries.